All around Sarasota folks are heading out to the garden to bring them back to life after a long winter nap. That can involve a lot of yard debris cleaning and gravel removal. Of course, not everyone has a pick-up truck that can haul away that type of debris. Would you even know where to take it? This is the kind of yard cleanup that requires outside help. Just because you are doing your landscaping as a DIY project doesn’t mean the cleanup has to be done by you as well. You can hire Junk King Sarasota for that task and get it done in no time at all. Since 2005 junk King has specialized in helping homeowners and apartment renters get rid of their excess stuff. But they’re not just about furniture hauling. The Junk King teams can also be a big help around the yard. Any type of yard debris can be cleared by Junk King. That includes the natural items like shrubbery that has been dug up or fallen tree branches. It can also include all the things that you have brought into your yard like patio furniture, benches, planters, birdbaths and pots. And it isn’t just the little things either. The team from junking can take down an old swing set and even an above ground pool if that is what you want cleared out. You can also add to the list things like sod, dirt, stones and gravel. Junk King bases it pricing structure on how things will fit on the truck and not how much they weigh. That can certainly make a big difference with gravel removal and any other heavy object that you want to clear way. The mission for the junk King team is to get the truck pack as tightly as possible. That will provide them with space for the next pickup. You can see by the Junk King pricing estimator just how much room would cost. That final amount will be lockdown once the team is at a chance to look over all the things in person. It’s a very fair and affordable approach for removal services like this. Your yard is going to look great after Junk King Sarasota has taken care of the gravel removal and yard debris clearing. Hire them for a session today. This entry was posted in Sarasota Junk Removal and tagged gravel removal, Junk King, junk removal on March 31, 2019 by Junk King. Last updated March 31, 2019 . There are two essential designs for any office space. It is either an open flow plan or a space that is divided into cubicles. There are pros and cons with each approach and it is always good to get the input of your staff to determine which works best for them. One thing the staff will all agree on is that they don’t like working in a space that feels overrun with rubbish. That can hamper productivity. Even though your old office furniture and equipment might be tucked away in a storeroom where it’s not seen it can still cause issues for the staff. It would be worse if the only space you could put it in was out in the open. That just makes everything feel crowded. A simple solution can happen with a call to Junk King Sarasota. That call will set up a quick office furniture removal that can clear out the workspace in no time at all. Homeowners often have greater flexibility when scheduling to junk King session. If they are going to be home all day, then they have no problem picking out a two-hour window for the junking crew. With an office furniture removal consideration has to be given with your business operations. Junk King is happy to accommodate by scheduling an appointment before or after office hours. You could also set up time on the weekend. Keep in mind that the junking team is going to move fast no matter when you schedule. They understand how important it is not to cause disruptions. That’s why you only need to tell them what you want removed once and then you can consider it gone. When hiring a service like Junk King you always want to think about cost and how it will affect your bottom line. The good news is that Junk King offers a very competitive price scale that is based on how all of your discarded items will fit on to the back of their truck. One fee covers all the work. There are no extra charges or surprise add-ons. Junk King knows how important it is to build trust with customers and that starts and ends with fair pricing. Your office furniture removal goal can be completed with one call to Junk King Sarasota. Book your session today and get the rubbish gone by tomorrow! This entry was posted in Sarasota Junk Removal and tagged Junk King, junk removal, office furniture on March 26, 2019 by Junk King. Last updated March 26, 2019 . What is the one thing in your home that you have the longest that you want to get rid of? Usually this will be a piece of furniture that has “overstayed its welcome.” Once you make the decision that this is something you want to get rid of every time you see it is a reminder of not completing that task. That can be very frustrating especially if it’s something might the sofa in your living room. Perhaps the only reason you haven’t been able to get rid of that item is you didn’t have the means. Thanks to Junk King Sarasota, you do have the means and that makes saying goodbye to your rubbish today very easy. Junk King likes to leave room in their daily schedules. When you set up an appointment you will be asked to “stand by” for a two-hour window. That’s much better than waiting all day for the cable company! That two-hour is taking up mostly by traffic time. However, when all is going according to plan then the Junk King crews swiftly move from appointment to appointment. The keep you apprised of their location and let you know how far out they are from arriving at your home. All of this means that there could be openings throughout the day for a same day pickup. When you call to schedule your session, you might be offered that same day pickup. That would only mean you need to know exactly what you want to get rid of because it is going to go fast! As for what you can get rid of, considering Junk King is going to send over a pair of movers and a big truck pretty much anything goes. You can say goodbye to an old couch, loveseat, recliner, table, chairs, dresser, bookshelves and all kinds of broken appliances. You can also say goodbye to all the clothing in your closet that you know you’re never going to wear again. All of this can have a major positive impact on your living space by creating a lot more room for storage. Plus, it will just feel good getting rid of all that rubbish. When you’re ready to say goodbye your rubbish, Junk King Sarasota will be ready to pick it up in a hurry. Give them the call today. This entry was posted in Sarasota Junk Removal and tagged Junk King, junk removal, rubbish on February 28, 2019 by Junk King. Last updated March 3, 2019 . Is the oldest item in your home something you want to keep or get rid of? If it is an antique, then obviously you want to hold on to. But it might also be the sofa you’ve been carrying from home to home for the last several years. That doesn’t necessarily equate to value. Are you ready to replace that old couch? Maybe there are some other items you been holding onto for no other reason than there’s no way to get rid of them. How are you supposed to toss out a broken lawnmower? How would you get rid of a ping-pong table? What you supposed to do with a bulky old-style television? Actually, the answer to all those questions and the rest of your rubbish removal needs can be found with the best junk hauler in Sarasota. That would be Junk King Sarasota. Junk King is proud of the work they do. They know after a job is complete that they’ve helped transform a home. Even if it’s just getting rid of an old mattress that still can make a big difference when it comes to accessibility to storage areas. Just think of all the things you’d like to move from your home but couldn’t unless you had help. Junk King will provide that help in the form of two very strong movers. These are the crews that earn rave reviews from Junk King customers. In fact, if you were to come across a former Junk King customer, then they would more than likely recommend Junk King services. The way Junk King operates a simple. They do all the work. That’s it. All you need to do is show the team what you want taken away and they’ll pick it up right from the spot. Actually, they may take a few moments to decide the best approach for removing that item without causing any damage floors and walls. They would take extra care with your home. Junk King also want to take extra care without a dispose of an item. Their preferred method is to drop it off at a charity or recycling center. They don’t want to go to a landfill at all. That’s just how they been operating since they began collecting junk way back in 2005. The right junk hauler for your rubbish removal job is Junk King Sarasota. Put them to the test today. This entry was posted in Sarasota Junk Removal and tagged junk hauler, Junk King, junk removal on February 26, 2019 by Junk King. Last updated February 26, 2019 . The most popular thing that homeowners wish they could add to the house is another bathroom. Next to that, would be more storage space. Adding the bathroom requires a lot of plumbing work had it may not be practical unless an entire edition is being added to the home or there is a basement with plumbing already established. However, when it comes to adding storage space that might be easier to come by especially when you get help from a company like Junk King Sarasota. What is really standing between you and finding more storage space is deciding what kinds of things you can get rid of. This will mean going through every closet, the entire garage, the attic and any other area that you designated for storage. You want to take the time and review all the things you’re keeping in boxes and bags. Are these things that you’re going to use again? Are they broken beyond repair but you just didn’t want to throw them out? Are they some items that you thought you would pass on to other people but no one wants? This kind of sorting work can end up revealing large amounts of things that you can get rid of. What’s left can all be consolidated into a much tighter space. As for all the things you designated for removal, that is where Junk King is going to be a big help. If you are just clearing out space for storage, then there will be plenty of room on the Junk King truck for whatever you’re getting rid of. The team from Junk King is going to size up all those items and no from just glancing at the how the pack up the truck. They will be worried about fitting things on. There are more focused on packing as much as they can into a little space as possible. That allows them to make more pickups in a day. It will also provide you with the low end of the price scale. Freeing up more storage space is easy when you partner up with Junk King Sarasota. Get your rubbish removed today. This entry was posted in Sarasota Junk Removal and tagged Junk King, junk removal, storage space on January 31, 2019 by Junk King. Last updated February 1, 2019 . We have a written guarantee with the Sarasota – Garage Cleanout services we supply here at Junk King. Once more, each and every member of our team is dedicated to making sure what can be recycled gets sent in the proper direction. Here at Junk King, we also like to be an information resource. Many of our clients ask us what they should be doing after we help them clean out the garage. That’s why we’ve put together the following suggestions. Once you have the space all clean through our Sarasota – Garage Cleanout option, you might decide to keep using it as a garage. If that’s the case, you might want to start by changing the floor and putting in a poured concrete solution. These are nice and simple. If you get one with the right finish, cleaning up small oil and grease spills is a breeze. Keep in mind that you don’t need to store everything on that new floor either. There are a variety of outstanding storage solutions as close as the Internet. Why not take a few minutes to book online today and save $20? Or, if you prefer, you can click online or call us at our convenient phone number located right on our landing page. Don’t forget to text us a photo so that we can get ahead of your garage cleaning needs. Of course, some of the other clients who use our Sarasota – Garage Cleanout department see things a little differently once the space is opened up. We’ve heard from people who say they’ve converted it into a workspace for an extra income or just a hobby on the side. Everyone who loves to work with wood or tinker with cars knows the backyard and the inside of the house aren’t the places for that kind of work. If you’re looking at putting in a woodworking shop, a good suggestion is a cheap vinyl flooring since it’s easy to sweep up. If you’re planning on using the space to work on cars, we would like to suggest something a little more permanent like a concrete floor that you can wipe up spills and oil stains from. Regardless of what you choose in the end, Junk King Sarasota – Garage Cleanout services we provide are industry leading. Why not get in touch with us today? This entry was posted in Uncategorized on January 31, 2019 by Junk King. Last updated January 31, 2019 . The big issue that dominated Sarasota in 2018 was the impact from the red tide menace. Florida officials spent a whopping $17.3 million in emergency spending to bring the red tide under control. Of that amount, $14 million was spent on cleaning up the dead fish from the beaches. Coastal areas, like Sarasota, where the economy depends on tourism were hit especially hard. Unfortunately, these types of algae blooms, which are a natural occurrence, won’t ever completely go away. The goal is for scientists to look for ways to mitigate the effects of this phenomenon. Did you have any cleanup that was directly related to the red tide? Hopefully, it was kept at a minimum. Looking ahead, are there any other cleanup projects you’d like to take care of in the coming weeks? If so, then you might consider bringing in the crew from Junk King Sarasota. These are expert junk haulers that can make short work out of all kinds of rubbish removal. When the crew is done removing all the unwanted items from the outside your home, they can turn their attention to the things you want to get rid of from the inside. They can help you clear out your garage and closets of all the unwanted clutter that is taking up valuable space. They can finally remove those big pieces of furniture and appliances that you’re not ever going to use again. You can hire Junk King to take away just a few things or an entire truckload full of junk. Their only focus is to leave you as a satisfied customer. For dependable junk cleanup services you can rely on Junk King Sarasota to move swiftly to clear your home of unwanted clutter. This entry was posted in Sarasota Junk Removal and tagged cleanup, Junk King, junk removal on January 27, 2019 by Junk King. Last updated January 27, 2019 . The question, “what are we going to do about the tree?” is being discussed in homes all across Sarasota and the rest of the country. That tree would be the Christmas tree and the disposal of that seems to be a conundrum faced by families every year. 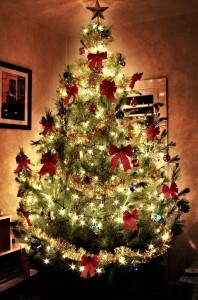 It is quite easy to bring a tree into the house and get it set up for the holidays. But after New Year’s when the decorations come down that tree needs to be disposed of and that’s where the challenge comes in. Not every neighborhood has the same type of municipal services that provide a pickup. Of course, everyone else on the block is also getting rid of their Christmas trees which can cause a literal and figurative logjam. There is a way to cut through all the hassle and have your Christmas tree removed on your schedule. All you have to do is put Junk King Sarasota onto the task. Junk King specializes in the removal of furniture, appliances and electronics but are not limited to those categories. They remove all kinds of unwanted items like pool tables and hot tubs. A Christmas tree is the least of what they can get rid of and as far as they’re concerned rather easy. You won’t have to bring the Christmas tree down to your curb. The Junk King crew will pick it up right from its place in your home. Once the tree is on the truck they’ll backtrack and sweep up all the needles, too! 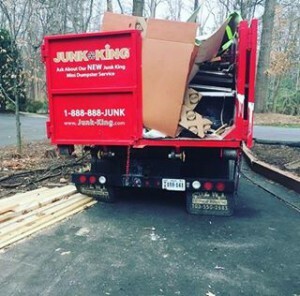 Just getting the Christmas tree removed efficiently and on your schedule is a huge benefit but there’s a lot more the junk King can do the same session. What other items would you like to get rid of your home? There will be plenty of room on the back of the junk King truck to make that happen. All you have to do is point to what you want taken away and the crew will do the rest. They’ll also do an environmentally friendly disposal of all that stuff including your Christmas tree. Christmas tree removal and junk hauling can be taken care of quickly with one call to Junk King Sarasota. Set up the appointment today. This entry was posted in Sarasota Junk Removal and tagged Christmas tree removal, Junk King, junk removal on December 31, 2018 by Junk King. Last updated December 31, 2018 . When Junk King says they do all the work you can take that quite literally. It’s never challenge to move something heavy and bulky for these experienced crews. And working fast is just how they operate. Plenty of Junk King customers are repeat customers. Someone who clears out there closets a day might need a backyard cleanup tomorrow. Junk King can help with everything when it comes to clutter and rubbish removal. Junk King Sarasota is confident that after one junk removal session you’ll be adding your own positive review to the growing list of satisfied customers. This entry was posted in Sarasota Junk Removal and tagged Junk King, junk removal, reviews on December 26, 2018 by Junk King. Last updated December 26, 2018 . If you are in charge of the holiday gift shopping for your family, then you’ll probably be very busy in the coming weeks. Whether you’re making the trips to various stores throughout the area or spending time online, your goal is to make sure that everyone on your list will have something nice to open on Christmas morning. Of course, there is nothing wrong with giving a gift to yourself. After all, who would know better as to what you would need? One great gift you could give to yourself would be a junk removal session from Junk King Sarasota. This will allow you to finally get rid of all the unwanted clutter and rubbish that you have in your home. You no longer have to wait for someone to do it for you because Junk King will do it right away! You probably have a running list in your mind all the things that you’d like to get rid of from your home. You reminded of that list anytime across to the garage and see the piles of sporting equipment, boxes of household goods and maybe even a kayak that no one is using. You’ll think about the list of things to get rid of every time you open up cabinet or closet and have to sort through all kinds of clutter in order to find the one thing you’re looking for. One junk removal session with Junk King can make all of that stuff disappear. Since you know what taken from the house it will be easy to show all those items to the Junk King crew when they show up for the appointment. After they’ve look over all the stuff you want to get rid of, the be able to present you with a written estimate for the fee. This will be a price that is based on how they going to pack up the truck. They have a lot of experience with getting a bunch of stuff into a small amount of space. That will always be good for the final fee. 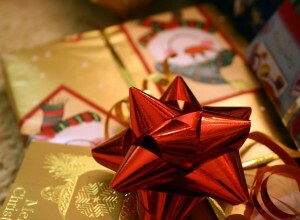 This holiday, give yourself the gift of a Junk King Sarasota junk removal session and get the home cleared of rubbish. You deserve it! This entry was posted in Sarasota Junk Removal and tagged gift, Junk King, junk removal on November 30, 2018 by Junk King. Last updated December 2, 2018 .